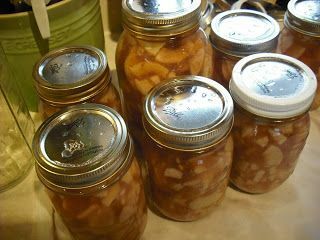 Preserving your apple harvest for the year? Turn it into some delicious desserts by canning Apple Pie Filling! I’ve posted the recipe for canning apple pie filling before but here is a picture tutorial! I canned so many apples this year! But one of my favorite things to make with apples is apple pie filling. We use it for pies, crepes, empanadas, and more. You can find some great recipes using canned apple pie filling here. Wash the apples. I always wash mine in produce wash. Mix together all the ingredients. Cook on low in a saucepan. Cut the apples up into smaller pieces. Simmer the syrup for about 20 minutes. It may get slightly thick. For a very thick gel that is more of a ready-to-use pie filling you can add some Sure Gel or you can always simmer the Apple Pie Filling with cornstarch when you are ready to use it. Do not add cornstarch or flour before canning. *Note depending on how many apples you have you may have to make more than one batch of filling. I did 6 quarts and 6 pints in this particular load and I had to make 2 batches of syrup. Using a funnel, pour the syrup over the apples. You will have to use something to push the syrup down into the jar and get rid of the air bubbles. I just use the other side of a plastic spatula. 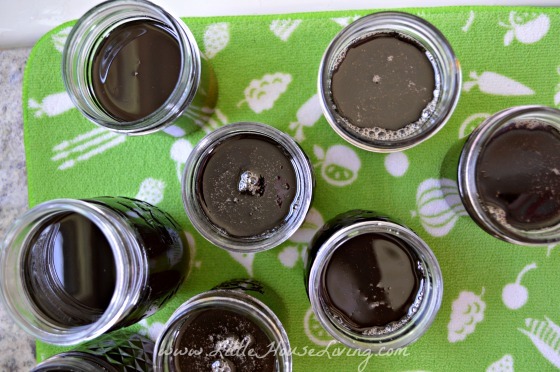 Clean off the rims of the jars and make sure they are dry before you put the lids on. Do not skip this step, it’s important because it will help to ensure a good seal. For more on this please read Testing Jars and Seals. Put on the lids and lids. Make sure they are screwed on tight! Put the jars in a hot water canner. Fill with water just enough to cover the lids of the jars. Get the water boiling or close to boiling before you set the time. Process for 20 minutes. Take out and let cool. Do not touch the tops and accidentally seal the lids. If for some reason the jars did not seal(the lids didn’t pop down) you can reprocess for the same amount of time. (If done within 24 hours of original canning) I like making both pints and quarts. The quarts are the perfect size for pie and the pints are nice to keep in the fridge for crepes and other fun stuff! 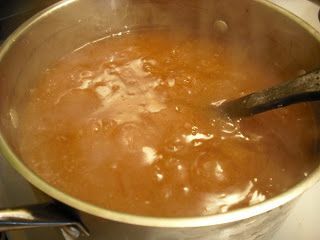 –You might also enjoy this recipe for Apple Pie Jam! Now that you are finished with that, make sure to check out these Canned Apple Pie Filling Desserts that you can make with this handy home canned item! Print this recipe for Canning Apple Pie Filling below. 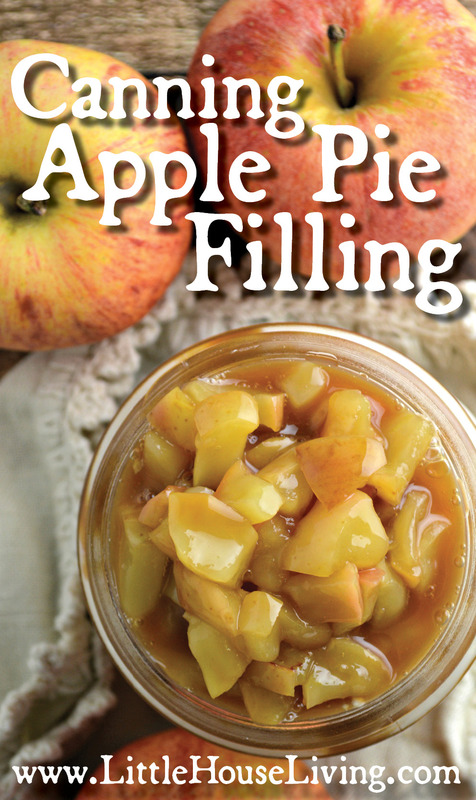 Preserve the fall bounty with this delicious apple pie filling recipe! 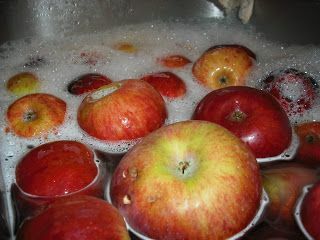 Wash the apples with produce wash. 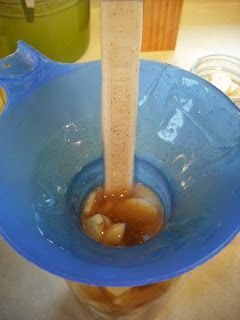 Using a funnel, pour the syrup over the apples. You will have to use something to push the syrup down into the jar and get rid of the air bubbles. Clean off the rims of the jars and make sure they are dry before you put the lids on. Do not skip this step, it's important because it will help to ensure a good seal. Have you ever tried canning apple pie filling? That looks & sounds delicious!!!!! I am going to file this away for next year when I have lots of apples again! The main question I have about the apple sauce and pie filling. How long do these last canned? I guess really that’s my question about alot of canning things.. how long will they keep? I know a long time, but I’m not sure is it more then a year or so? I want to go apple picking this fall and would love to get enough to do both! I have apple pie filling from 2 years ago and it’s just fine. I’ve eaten canned things that were 3 or 4 years old and they were just fine. It all just depends on if the seal is still good! Thankyou! I’m trying to find somewhere that has an apple orchard, the closest one to me charges to $5 to park, and $40 just to get into the orchard.. and you have no idea what they have left. 🙁 So I’m search of somewhere I can get some! I’m excited to try this.. Always wanted to try my own apple pie as well! Try the internet. 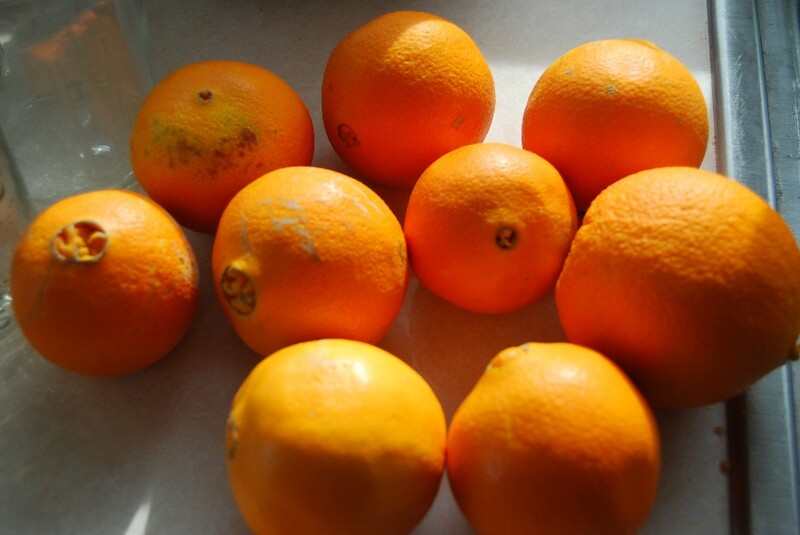 Do a search for you pick, to find orchards in your area. pickyourown.org is one. Also check for orphan apple trees in your area. My city, Edmonton Canada, has a program where you can pick apples from trees that people don’t want. Google apples and your area. You may get some for free. :) In some cases you pick and share with the owner but only the effort is the cost. This helps the elderly and the disabled enjoy their apples. I am thinking this will be my go-to when I need to go to! Thank you for sharing!! Just a quick question. 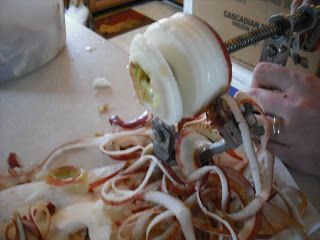 I just finished peeling a bushel of apples and saw this I have the same peeler and was told by my mom in law that it would get mushy if I used it because it slices too thin. I take it this is not true. I canned some apple pie filling but some of he apples are not covered in the syrup. The jars are sealed, are the apples still ok to eat? A friend and I recently came into a LOT of apples and decided we wanted to make pie filling so I immediately thought of your site. 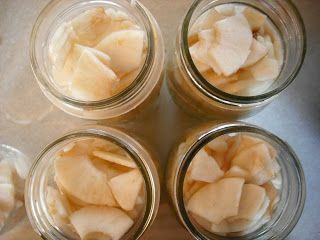 I don’t know a whole lot about canning but a friend of mine who recently went to a talk at the Mother Earth New Fair on canning said the expert there giving the talk make a big deal about not using cornstarch in any canning recipes. She said you should be using ClearGel instead. I’m not sure behind the reasoning but I did a search online and apparently the USDA also suggests not using cornstarch in canning. Obviously you’ve been using it and you have not had any problems, but I thought I’d mention it. Interesting, I haven’t heard of that! I have heard of using Clear Gel though. 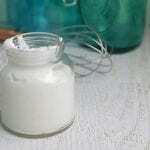 I was reading the comments about clearjel vs cornstarch, but I don’t see either in this recipe? Am I missing something? I think both are just common ingredients in canned apple pie filling 🙂 Cornstarch isn’t something that should be canned, ClearJel can be used but I don’t generally use thickeners or pectin in any of my recipes. 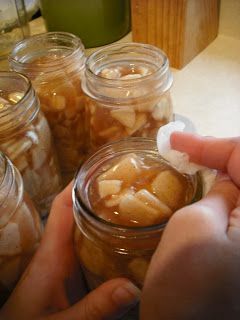 Canning apple pie filling using tapioca or cornstarch as the thickener (outdated method.) Why is this risky? Botulism is not a major risk here because the high acid content of the apple filling. However, using cornstarch or tapioca may cause the filling to be too thick for the heat to penetrate and kill spoilage organisms throughout the product—a food safety issue. Cornstarch will break down during the canning process. Your pie filling will be runny—a food quality issue. Current recommendations: Clearjel® is the only thickening agent approved by the USDA for canning. Clearjel® is a modified waxy food starch producing a smooth, heavy-bodied, gel-like product. Canned products retain a smooth texture with no liquid separation or curdling. Cornstarch and tapioca break down during the canning process causing the filling to be runny. Another option is to can the pie filling without any starch and then thicken it with tapioca or cornstarch before putting it in the pie shell. Uses: Clearjel is a superior version of cornstarch tolerates higher temperatures, works well with all types of ingredients including acidic ones and does not clump. Used as a thickener in pies, stews, sauces, gravies and pudding. Clearjel Instant does not have to be mixed with cold water prior to use like regular Clear Jel. Sounds like the gov./someone has a vested interest in using a name brand item than something people have been using for decades with no problems. Forget that! FAR said thin-thin & a number of other things were safe only to find out not so later. Stick with what you know and works! Besides, has anyone seen what’s they did to the food pyramid? Get real!!! Sorry I MENT F.D.A. not FAR, my kindle changed it! This sounds prefect. I am not very experienced with canning and was wondering how to make apple pie filling. I would also like to know how long the baking time would be for the pies. I made these last night and it was super easy, thanks! However I was chatting with a friend today and she said I needed to use a pressure cooker…I used my hot water canner and boiled the water for 20 minutes like you suggested. An I going to poison people if I don’t use a pressure cooker? Please help! You should be fine. I use the book Putting Food By for my timing/canning instructions. Apples are an acidity level of 3.3-4 which means they are high acid (anything from 1-4.6 is high acid). Thanks for sharing. This looks alot easier than the way I do it so I look forward to trying it this fall when we pick apples. 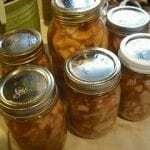 I love the idea of this apple recipe, when I have unexpected guest I can pull out a jar and make apple Betty, apple crisp, apple pudding, or just warm and serve with vanilla ice cream, Think I’ll try this next week.Thanks for sharing. Is using cornstarch ok? I mean the Internet says its not safe canning. They say use sure jel. What’s your opinion on this? I’ve not heard of that and haven’t had an issue with it. If you don’t feel comfortable though, just use Sure Gel. Can you substitute honey or maple syrup or coconut palm sugar? I don’t touch the refined stuff anymore…any ideas on substitution amounts? 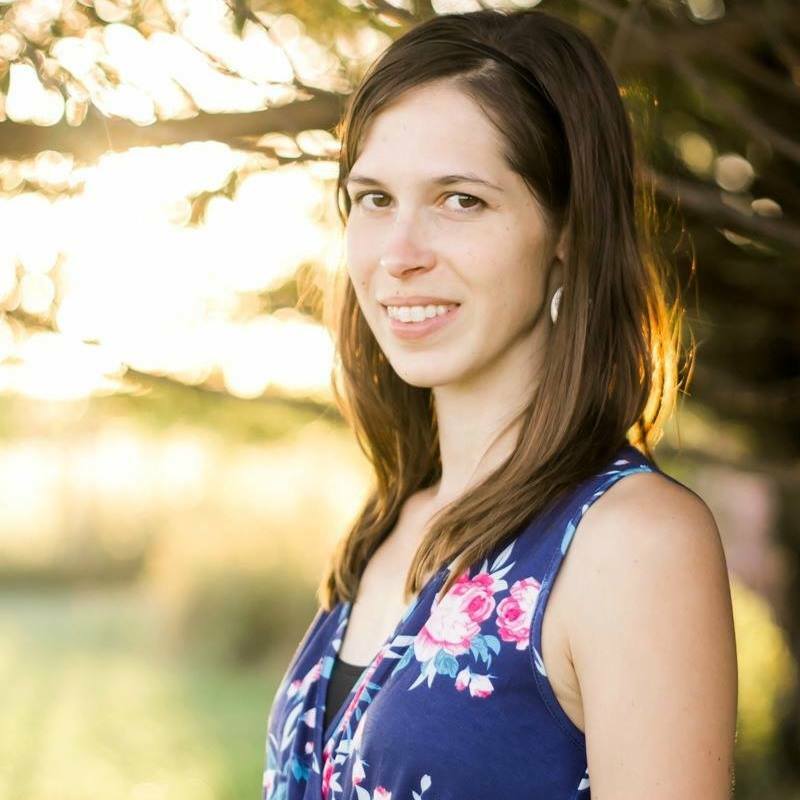 I LOVE YOUR BLOG, I cannot tell you how helpful it has been! 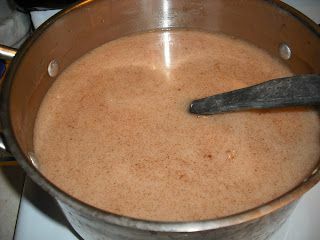 I would use the coconut palm sugar in this recipe instead of the liquid sweeteners…I’m not sure how safe those are to can something like this with but coconut palm sugar would be very similar. Have you tried using this recipe with peaches and making “Peach Pie in a Jar”? Where can you buy ClearJel? You should be able to find it at your local hardware store. Donna I just bought some from Amazon.com and also bought an apple/peeler/corer !! If i substitute sure gel for the cornstarch, how much should I use. This will be my first time to can this, also are the measurements in teaspoon or tbs? I use potato starch since we’ve since found out we are allergic to corn. Yes, I use raw sugar (cane sugar or turbinado) for everything. You may want to check out our page on Stockpiling to learn all about long term storage. So I take it that the apple pie in a jar is made now with potato starch flour to thicken and can the filling. How well does the pie set up with the potato starch in it? 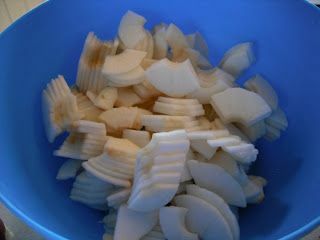 You can use any starch (although I wouldn’t use arrowroot). We just personally use potato starch because we are allergic to corn. Ok, I want to try canning ! But I don’t like hard apples in my pies filling ! Do I cook the apples a little already cut ? Can I make this without using any thickener and just simply thicken it when I’m ready to use it? If so, is the processing time in the water bath the same? Anything else I should know? I’m new at canning and want to try this recipe. Everysite i see talks about waterbathing the sauce. I like to pressure cook everything, i feel safer. I do realize that apples are withing the safe range but better safe than sorry. Have you heard of pressure cooking the apple filling and if so do you think it will affect the flavor, texture, etc? And how long would you suggest? I am not to computer savey but what are those colored designed squares to the right side of our questions. Each person has a different one. Why? You still did not answer my main question. When you open a jar of the canned apple filling and bake the pie does it come out of oven and set up or will it be runny. Many people tell me if you can with the cornstarch and then bake the pie that the cornstarch breaks down and will not thicken the pie but will thicken only once. Since I have not canned any I don’t know what is true. I like the ladies idea of not putting in any thickener and then do it when you make the pie. One thing I did is I put spices in each jar and then added liquid. I had a lot of syrup left over so I knew they would not be sweet enough so the next batch I think I will put sugar also in each jar and put boiling water over it all and water bath. I also used organic apple juice that had no high fructose corn syrup as part of liquid. Do you know if the clear gel that is corn based is gmo. Some say that it can cause havoc to your health. Maybe that is why you are allergic to cornstarch. Thanks for taking time to respond. I have not found the pies to be runny, but like the other ladies have mentioned you could always add it afterwards to make sure it would be thick. The colored squared are just automated pictures that the site generates to go next to each comment. I’ve been making apple pie filling for years and use “cooked” ClearJel, not “instant” for my thickener. It works fantastic and maintains it’s thickening power even after canning and cooking the pie. this looks like a perfect recipe but how many apples do i need to use…. It takes at least 3lbs of apples to fill a jar and this recipe makes at least 7 pints. Found your recipe for the apple pie filling and had a bunch of apples, so decide to give it a try. Made the sauce the why your recipe detailed and tastes very good. My question is that after the hot water bath and after the jars cooled I noticed that one of the jars the syrup settled about an inch below the rim band. The apples at the top of the jar are not covered by syrup at all. Is this to much air space and will cause this jar to spoil? The apples should be just fine 🙂 I have different things that absorb the liquid sometimes in canning also and they’ve always been fine for me. I have come into 200 pounds of apples, never ever ever canned or frozen anything before. So here goes. Made the applebutter in a crockpot and canned it and it was great. So now on to apple pie filling. Yes it does. For hot water canning jars need to be completely submerged to build up the proper pressure to seal them. Apple Pie Filling tends to look a little odd after a while, I’d take a picture but we are all out right now! It should be fine as long as they were properly sealed. Thanks for getting back to me! Good to hear. So, should the liquid mix in fine without making the pie too runny? 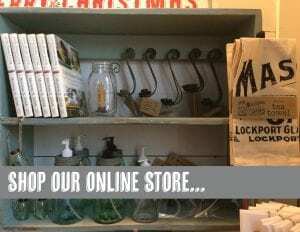 Love your site by the way! Yes it will, maybe once you pour it out of the jar just put it in a small bowl first and mix it back up, then add it to your pie crust. I found this recipe on Pinterest. I’m trying it except I added caramels to the mix. Now I have caramel apple pie filling. Hope it’s good. Does adding caramel before processing adversely affect the acidity of the final product and make it unsafe? I am allergic to corn and all byproducts of corn. I usually use flour and knox gelatin for thickening when I make pies from scratch. How would potato starch work in the place of cornstarch and also how much would I use? Also, a trick I have learned over the years: when using cornstarch or flour or potato starch I mix it in the sugar with a wire whip til well incorporated then add my liquid. No lumps. Yes, potato starch will work the same way. What exactly is apple pie spice? Cornstarch will break down over time and is not recommended by the USDA for canning applications. Using the product called Clear Jel is the preferred method. 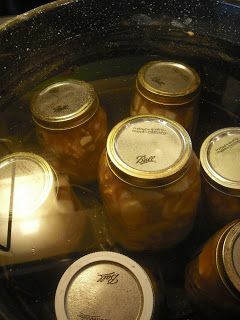 Clear Jel(Cook Type, not instant) is a modified cornstarch suitable for the high temperatures required in canning and will not break down,separate or weep during canning and later in baking the pie. Thanks for a great recipe. I have been looking everywhere to find a great recipe that does not contain ClearJel or another forms of GMOs. I also, enjoy the fact this is what canning probably looked like years and years ago. Very basic, natural ingredients. I noticed your recipe doesn’t use any type of thickener, such as Corn Starch or Clear Gel. Do you have trouble with the thickness of the syrup for use in pies? I am wanting to try Apple Pie Filling and have never done it before, but every recipe I have seen called for some type of thickening agent. Any suggestions? Thank you!! If I want a nice thick pie I will use starch. The canned product isn’t running but it’s not super thick and sticky. No starch in the canning recipe. If you need that later when you make the pie it can be added in then. I just tried making this, and am feeling slightly confused about the sauce. I added the sugar, water, and spices and then let it boil for almost 45 minutes. It never thickened like it looks like in your picture. Instead I got a small batch of caramel sauce. Did I miss a step? Am I missing something? It shouldn’t get super thick. If you need it to be thicker after you open up a jar later you can simply simmer it on the stovetop with a bit of cornstarch. I think you need to say something in the recipe about the cornstarch though. Your recipe didn’t call for it so I didn’t put any in. It didn’t get thick and so I cooked it longer until it burned! I found another recipe that was almost exactly like yours but with cornstarch and it cooked in about 10 minutes and was perfect. You probably need to be more specific about the recipe so no one else makes the mistake and ruin a batch of apples! Cornstarch, flour, and other thickeners (besides commercial clear gel type solutions) should not be canned, it’s better to add it in after you have opened the jar and are ready to make your pie. Just made only 3 qts of Apple pie filling, but plan on using the rest of the sauce to make more, of course, I hate to taste it & soooo yummy! The apples did float up after I canned them, sure it’s ok just more sauce !! Kids will love it! I am nt seeing how much clear gel or cornstarch to use in this recipe. I can see the recipe on top of the page, but it doesn’t list it. It’s not safe to can flour and cornstarch so I do not include it in the recipe. If it needs to be added after you have opened the jar you wil simply need to heat the filling and stir a bit in to thicken up the sauce depending on what you are using it for. I thought I was doing something wrong when my “sauce” didnt thicken , like the picture. After reading some comments, I see you heat it up (after opening the jar) with some cornstarch or such. How much do you add when ready to make the pie? I haven’t really measured and but for a pint I will ad about a tablespoon of starch (mixed with just a bit of water so it doesn’t get clumpy). I came across this recipe and in reading the comments people are asking about cornstarch and cleargel but there isn’t any in the ingredient list..did I miss something? Many apple pie filling recipes contain cornstarch of flour, mine does not as it’s not safe to can. I have just finished canning this recipe and I’m a little disappointed for a couple reasons. One, the directions do not say how long to cook the ‘sauce’ or at what level (low, medium, etc.). Two, after following said directions my ‘sauce’ looks nothing like the one pictured. Very confused and curious as to how you made your sauce. A lot of time, energy and money went into this and I don’t want it to be a flop. Would it work to keep the apple pie spice out? I use just cinn. And nutmeg in my pie filling and its great but I want to bottle filling a d wondering if it would taste ok. Thanks! HELP!!!!!!!!!! I did 24 quarts and 4 pints of this yesterday. Almost every single one of them boiled over and prevented a seal. 😛 How in the world do you get yours to hold a seal? I’m not new to canning at all, but for some reason these fillings just didn’t want to stay inside the jars. 😛 I processed for 20 minutes from the start of boiling and had a 1/2″ headspace. I would leave a little more headspace next time, at least an inch for a recipe like this that tends to bubble up a bit. I am so glad to have found this website. I lost my rescipe for apple pie filling for canning and this rescipe is exactly what I had. Now I can get busy canning. Thanks so much. I plan to visit this site frequently. Hello! Last year I came across your recipe after seeing some apple pie filling at a local fruit stand and decided it would be cheaper to make my own. I followed your directions and the filling came out perfect, golden and thick and sweet! This year however, I made the filling exactly as directed, only this time the filling was very dark brown (caramel colored) and very thin (tasted fine). I didn’t omit anything nor did I change anything in the recipe. What could have gone wrong? Mine turned out dark brown and watery too….no clue as to why. I just went to 6 different stores and no one carries Cleargel…I really wish it would have been included in the beginning of the recipe. I just found the Clear Jel on Amazon. They also have different brands of the same type of thickening agent. 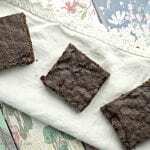 For those that are new to this recipe and thread. So I am just waiting on the sauce for this to get done put its not thickening up like yours looks like above will it still be ok? Should I dump out and start again. You will need a ClearGel or similar to create the thick sauce like I mention in the post. You can always thicken it up after you open the jar with a bit of cornstarch or flour. I came across your recipe and was excited to give it a go. Well, the recipe sounded wonderful and the pictures were very helpful, except when my “filling” wasn’t matching the pictures. After all the apple “filling” was canned, I started reading some of the comments and replies, it was then I realized that the recipe was incomplete. 🙁 The amount of headspace was a guessing game as was the cook time for the filling. So, can you give some measurements for the amount of ClearGel to use, cooking time on the filling or update the recipe to include all that’s missing? I’m sure the final canned product will be tasty and adding the thickener later will be ok – just don’t want a mushy apple pie or dessert.